If you’re just tuning into the blog, my name is Katie and I’m a nature-loving Midwesterner spending six weeks studying in Copenhagen! One whole course complete and two days into Session 2 and I’m still somewhere between disbelief, awe, and gratitude that I’m able to live and study in this unique, beautiful, and sustainable city. 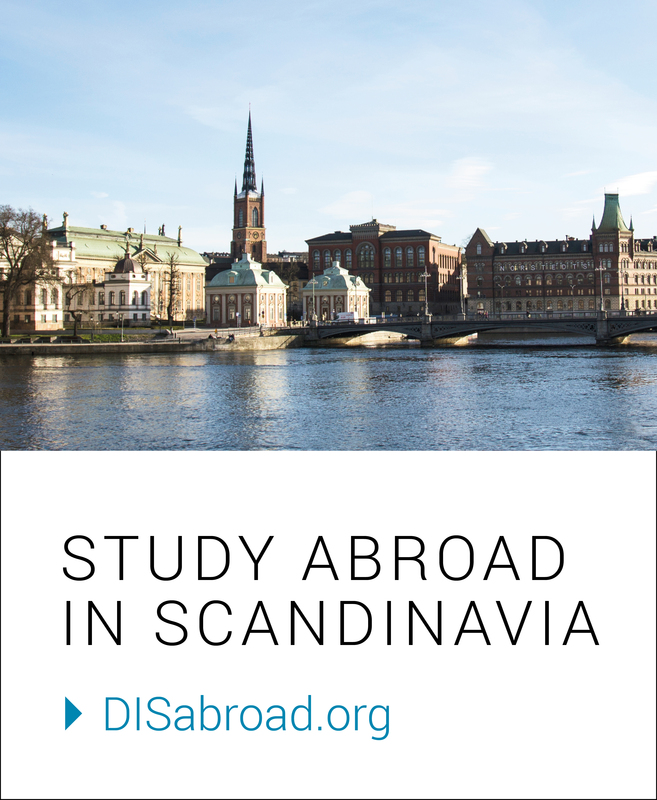 As an Environmental Science student and an aspiring sustainability radical, it wasn’t hard to pinpoint Scandinavia as a place I needed to see, and DIS presented the perfect opportunity to do real, hands-on learning in this sustainable haven. This is the smile of a tree-hugger in a solar-powered boat gliding through a swimmable harbor. In Session 1, I took a broad look at what makes Denmark a unique leader in ecological thinking, livable developments, and cutting-edge innovations in Sustainable Denmark: Solutions and Dilemmas. I’m happy to be staying in Copenhagen for another three weeks because there’s so much more to see and do! Besides, I’m just getting accustomed to cruising in the bike lanes, relaxing my schedule a bit as the Danes do, and soaking up the Scandinavian sunshine! My quest to learn as much as I can from the Danish approach continues in Session 2 with Renewable Energy Systems. While my Session 1 course provided me a broad overview, this course is already exposing me to the nitty-gritty details of renewable energy – a key if not the pivotal piece of the sustainability puzzle. Our first Field Study – Lynetten’s wind farm. In these final three weeks, I plan to soak up as much as I possibly can about how Denmark is on its way to surpass the EU goal of 50% renewable energy by 2030. What are the ideologies, solutions, and barriers? What strategies has Denmark used to implement such renewable energy advancements that could be transferred back to the States? Next week, we’ll take our Study Tour to Jutland, the mainland of Denmark, and Berlin, Germany to see some of the most important sites in renewable energy. I still can’t believe that I’m here, getting to learn about and actually touch the turbines, PV cells, bike lanes, upcycled goods, green spaces and so much more that must be part of our radical answer to climate change. We got to climb inside one of the wind turbines to the top! As I stood at the top of a 50-meter-high wind turbine today, it was hard not to feel like I was in a dream and that the 73-year-old man who guided us was a sort of Danish fairy godparent, granting my wish to see the insides of one of the greatest human feats in harnessing renewable energy. I looked down on happy, spunky Copenhagen on one side and the bold line of powerful turbines on the other. The Danes are onto something and I’m ecstatic to be here to learn about it!